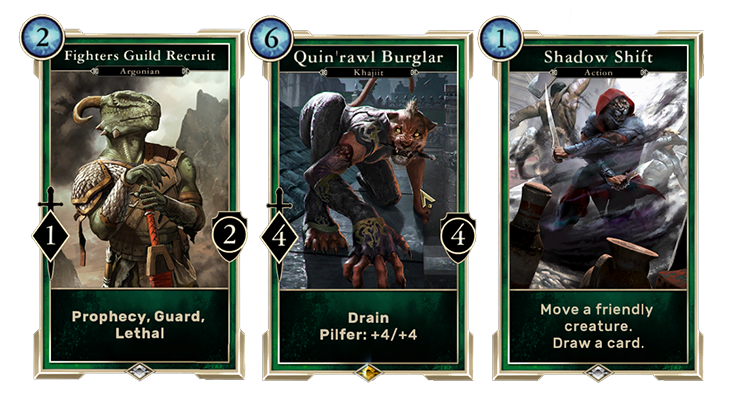 Building a deck in The Elder Scrolls: Legends isn’t as simple as just picking your favorite cards. You need to think about a lot of different factors: abilities, card types, how to appropriately balance high-cost cards versus low-cost cards and so on. (Don’t worry, we’ll go a lot deeper into advanced deck building in an upcoming feature.) But before you even get that far, you start by selecting either one or two attributes to build your deck from. There are five different attributes within the game and, depending on how you choose to combine them, they make up one of ten different Classes. 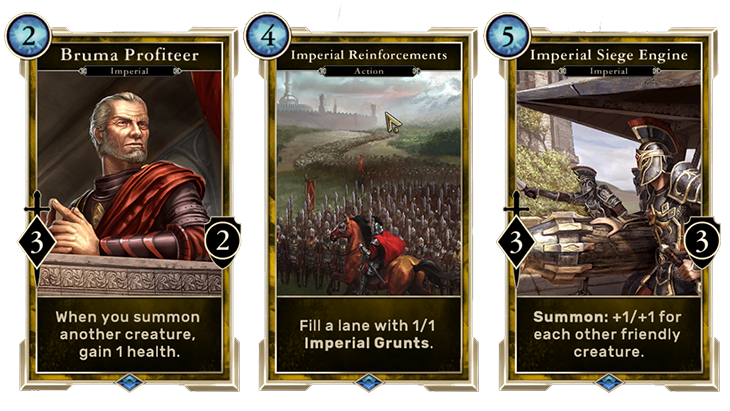 The five attributes in The Elder Scrolls: Legends are Agility, Endurance, Intelligence, Strength and Willpower. All of them have their own distinct properties and qualities. Each attribute is associated with a color represented on the cards to make them easier to distinguish from one another. Agility - Green: Agile creatures might not be goliaths on the battlefield, but they make sure their hits count, thanks to card abilities like Lethal and Pilfer. With their strengths lying in movement and speed, Agility cards may also give you the opportunity to shift your creatures from one lane to another. 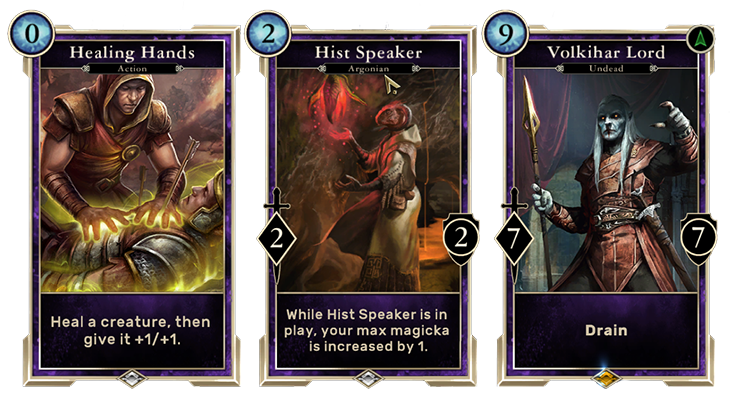 Endurance - Purple: Gather cards designed to increase your magicka supply in the Endurance set. This is incredibly valuable, because the Endurance attribute contains quite a few high-cost, high-power creatures. Endurance also plays host to a bevy of Guard creatures and actions that can heal both player and creature. Intelligence - Blue: Intelligence creatures aren’t power hitters, but they often have more tricks up their sleeves than their beefier counterparts. Intelligence also boasts a wide assortment of magic and chaos, including a high concentration of spells with random and unpredictable outcomes. Strength - Red: The name pretty much says it. When you’re dealing with Strength cards, you’re likely delivering the most pure power of all the attributes. Strength creatures attack with considerably more force and typically have lower defenses than creatures in an attribute like Endurance. Willpower - Yellow: Willpower has the greatest ability to deal with opposing threats. In card games it’s known as “going wide” – amassing a lot of tinier creatures that end up helping each other out. Each attribute has its own strengths and weaknesses, which you‘ll become very familiar with over time, but thanks to careful balancing, each attribute is fully capable of standing its ground against all of the other attributes with the right strategy. Picking a class determines which cards will be available as you move forward with building your deck. 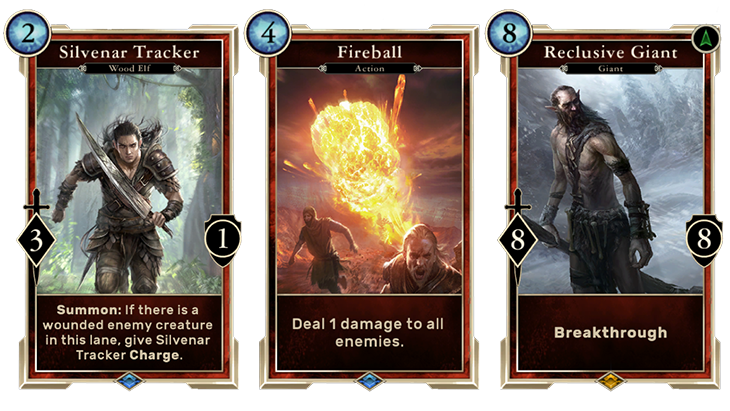 Creating a Archer deck means you won’t be able to include any Intelligence cards, but you can fill it up with Agility cards, Endurance cards and Neutral cards (which can be included with any combination of attributes). 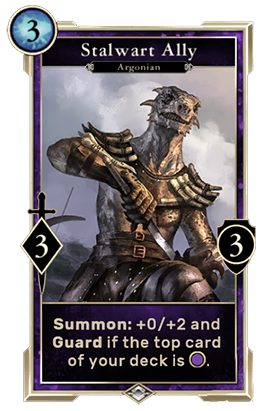 In addition to Agility-specific cards or Endurance-specific cards, there are certain cards that fit under two attributes. 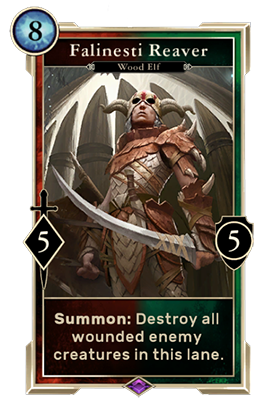 For example, the Falinesti Reaver is both a Strength card and an Agility card, and can only be added to a Archer deck. You can choose to forgo the two-attribute deck structure altogether, and craft a deck using a single card color. If you find yourself craving an Intelligence-only deck, you can build that. Certain cards in the game have special Summon bonuses that activate when the next card in your deck shares its attribute. Building a deck with a single attribute ensures you get that bonus. If you place a Stalwart Ally on the play mat, and your entire deck is made of purple Endurance cards, you’re guaranteed to fulfill his Summon requirements and get that extra +2 to defense and the addition of the Guard keyword. 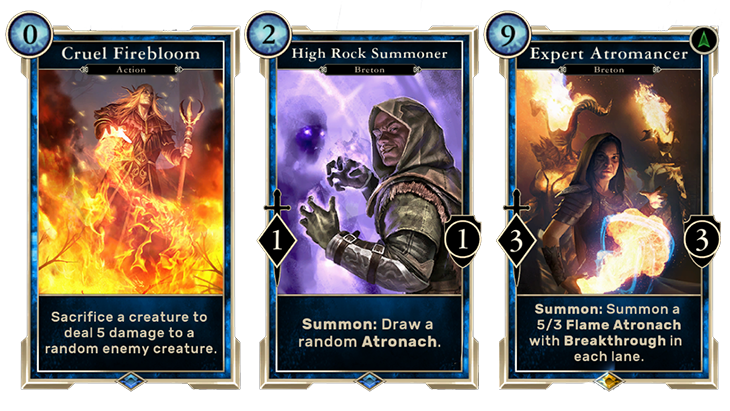 Attributes and classes are the backbone of deck building, and they add a ton of customization to The Elder Scrolls: Legends experience, with each one having its own distinct feel and playstyle. Experiment. See what works for you. You may even want to build a deck for every class just to see which ones feel right.